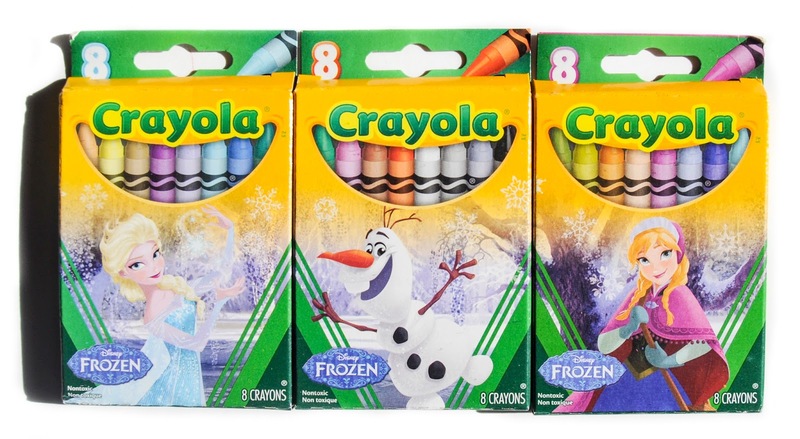 I almost missed the 8 Frozen Themed Crayola box set sold at Target. 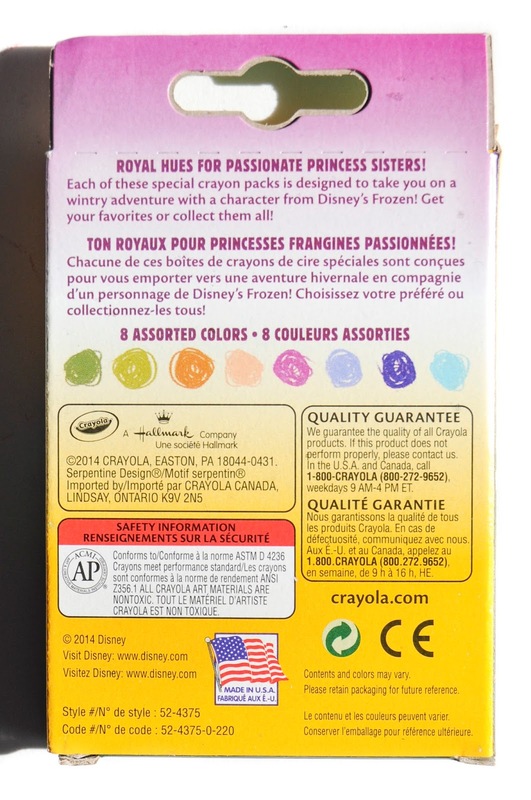 They came out in 2014 in conjunction with the Disney Junior and Disney box sets. 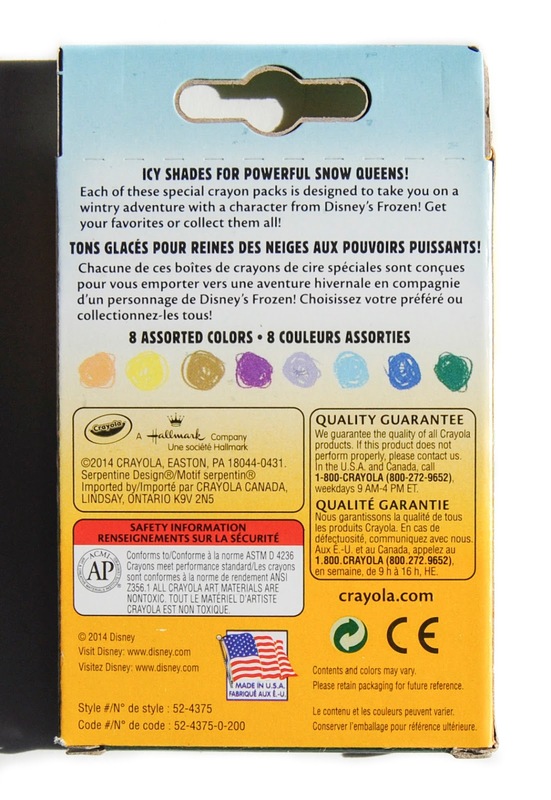 Since that time Finding Dory has had it's own set of themed boxes. I'm so glad I was able to get a hold of these boxes. I was visiting Target often and never saw them. I also missed the Disney Junior set. Luckily fellow collectors had both of these boxes and I was able to get them from them. 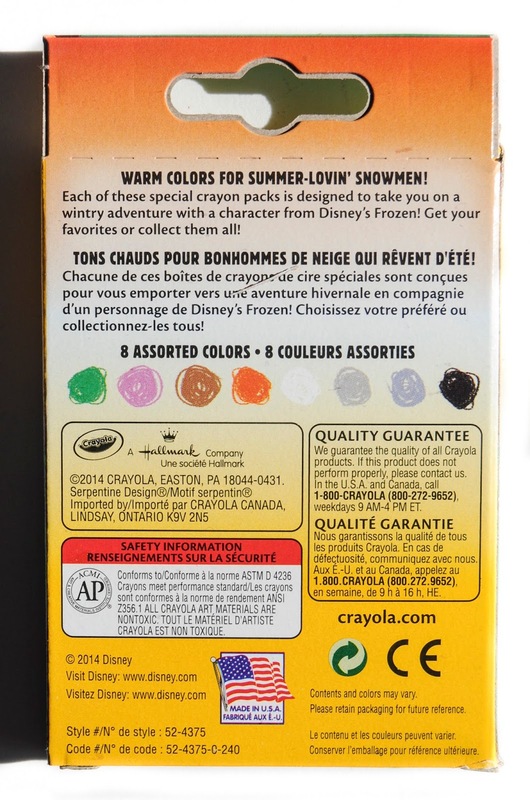 The Frozen themed boxes feature colors inspired by Elsa, Olaf and Anna. 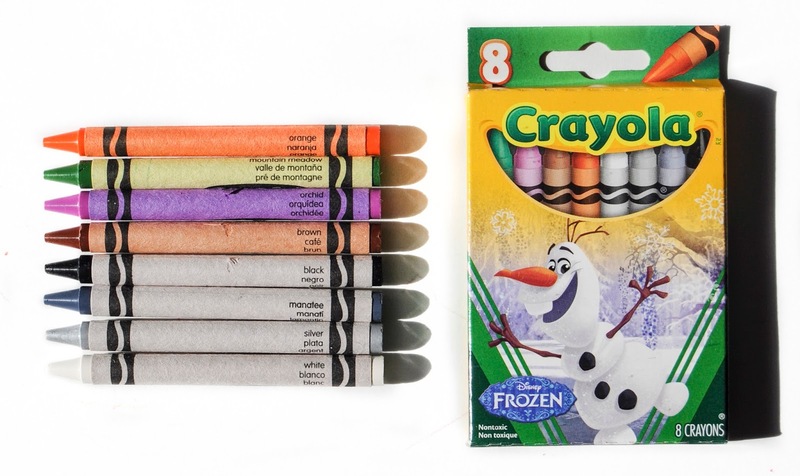 The colors with with each character very well. 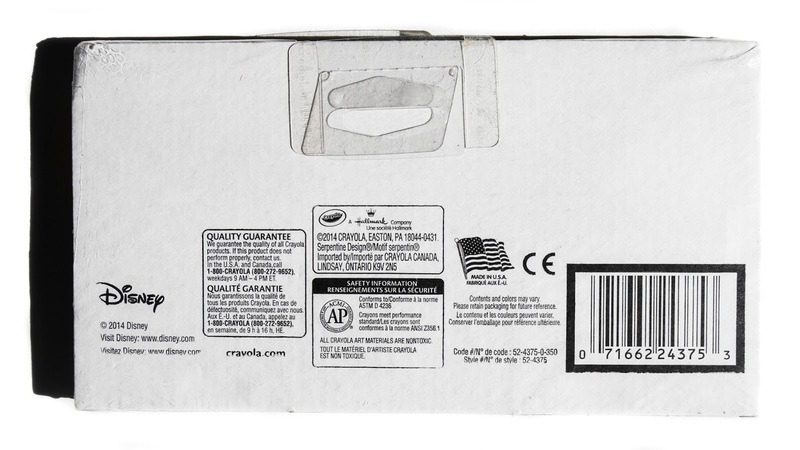 The box came wrapped in plastic with a cardboard backing. I think they were meant for collecting. I am so happy I found a box to buy! 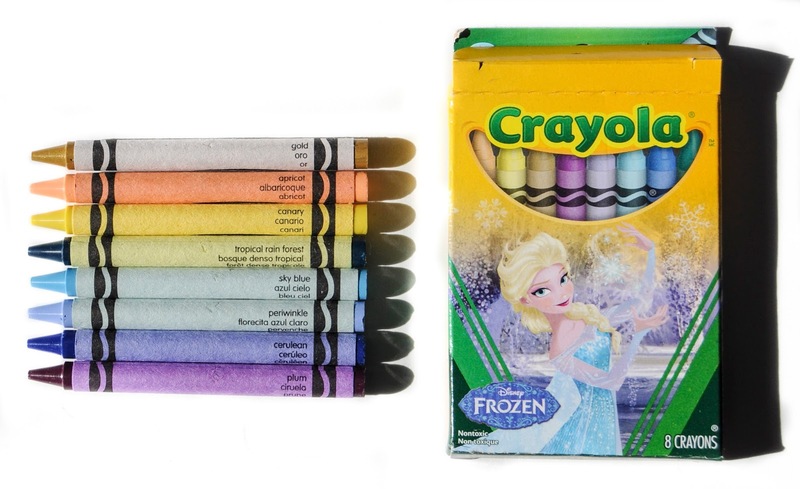 Unfortunatley these crayons are very rare. 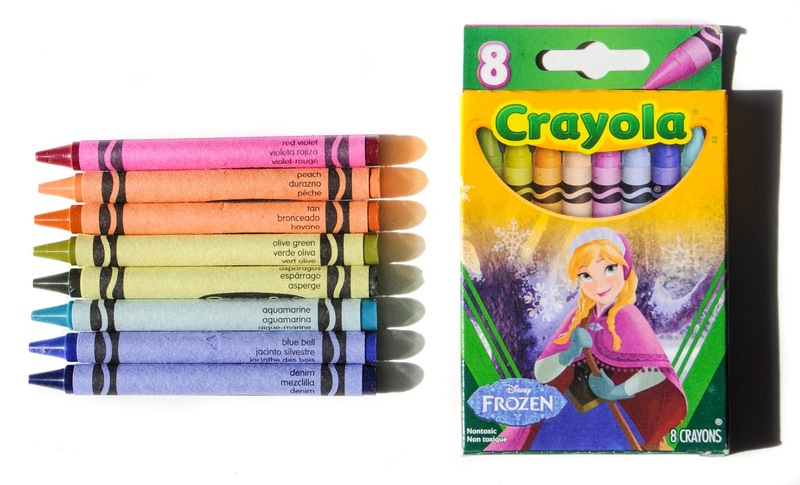 I think they would have been the most popular if Crayola had marketed broadly. I only found them because a fellow collector was selling them. I have not seen them otherwise.